Wordless Wednesday – Virtual Safari Tour! This week’s theme is Flora, Fauna, Fantasy 15 in celebration of Disney’s Animal Kingdom’s 15th Anniversary. Thank you Deb from FocusedOnTheMagic.com for the great idea! Great Animal Kingdom shots! They really capture the incredible beauty of the park. 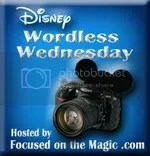 Thanks so much for sharing and for joining in the Disney Wordless Wednesday Blog Hop today!! Those are some awesome rhino pictures! Great slideshow!! Great Rhino shots!! Wow!! Great photos and I love the charging Rhino!